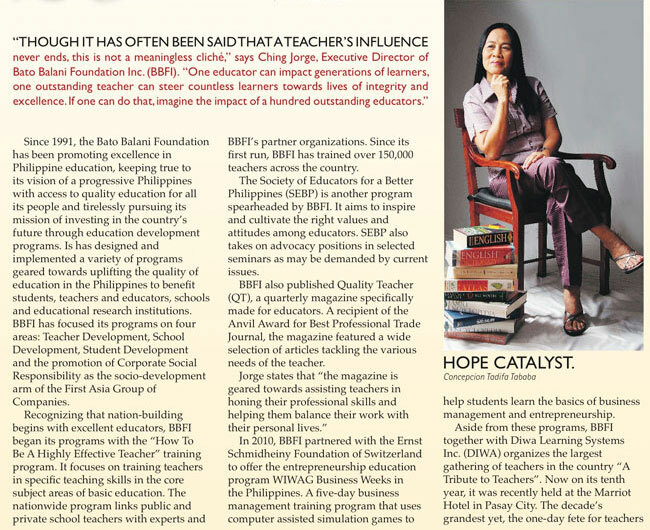 To inspire, uplift and equip: 20 years of Bato Balani Foundation Inc. 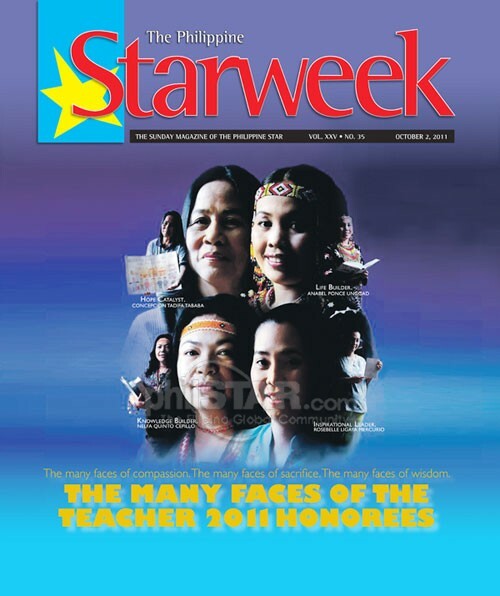 In 1991, BBFI was borne out of the pressing need for education development in the Philippines. Recognizing that nation-building begins with excellent educators, BBFI chose to focus its efforts on teacher training programs as well as providing advanced degree scholarships and grants for teachers. The “How To Be A Highly Effective Teacher” project was BBFI’s first effort. It focuses on training teachers in specific teaching skills in the core subject areas of basic education. The nationwide program links public and private school teachers with experts and BBFI’s partner organizations. Since its first run, BBFI has conducted over 500 seminars and has trained more than 60,000 teachers across the country. In 2004 alone, BBFI trained 6,681 participants.